Lori Hairston: Back to Ladybugs! 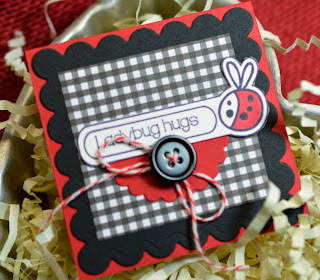 For the last day of this month's Paper Sweeties Release, I've gone back to Ladybugs! I just think these particular ladybugs are as cute as a...bug!!? They're kind of chubby and happy, don't you think? 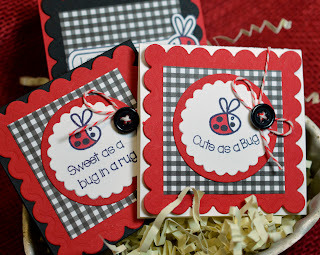 I put together a quick set of notecards using the ladybugs and sentiments from the new Cute As A Bug set. I love this little label with the ladybug. For the cute as a bug card, I gently curved the acrylic sentiment. Easy, fun and sweet with the images already doing most of the work! As before, be sure to check out the Paper Sweeties Blog for all kinds of pretty inspiration. See you there! I'll link up at Make It Monday. Saw this on MIM, how cute, love red and black together, very striking. Lovely cards! Just dropping in from MIM, and they are very cute chubby ladybugs! Love the little gift cards in those red, black and white colors too. What a wonderful gift this would make. 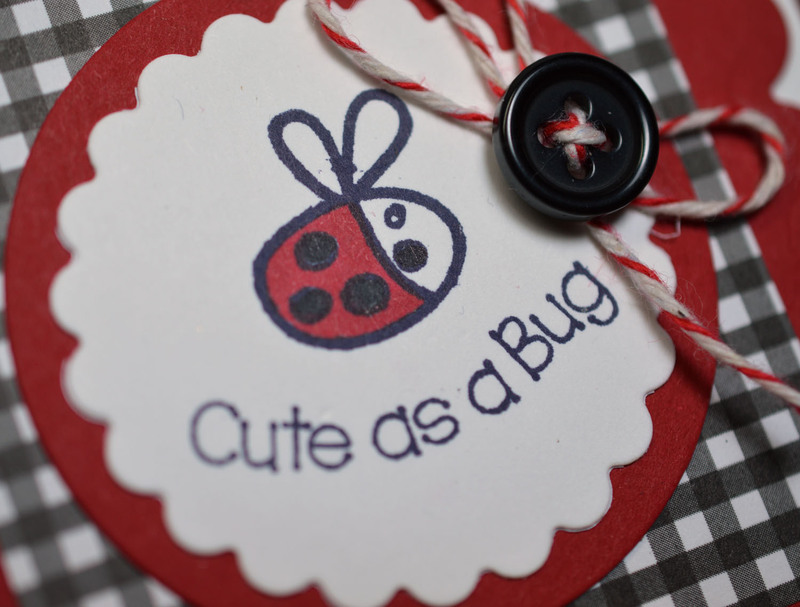 Love red and black together and you are right - the bug is as cute as a bug in a rug!! 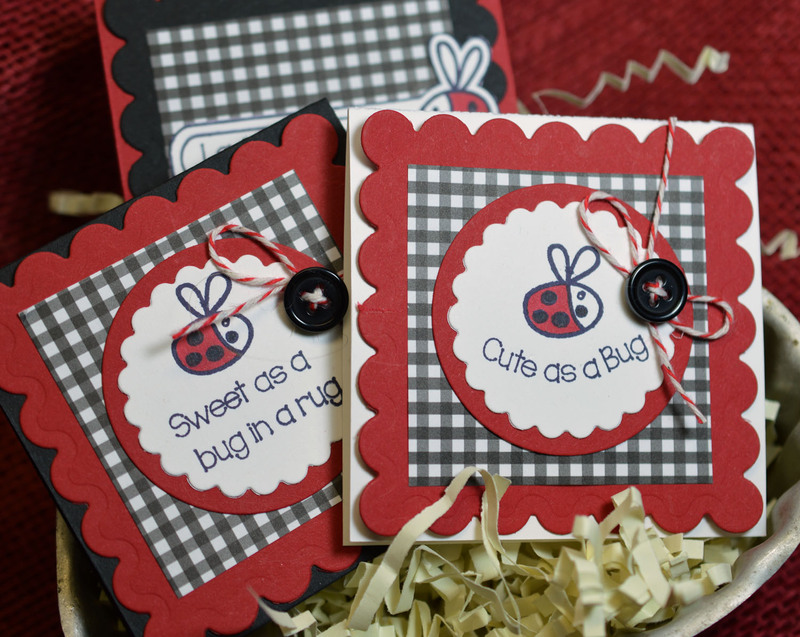 A truly adorable set of notecards Lori, black/white/red is always such a powerful colour combo! 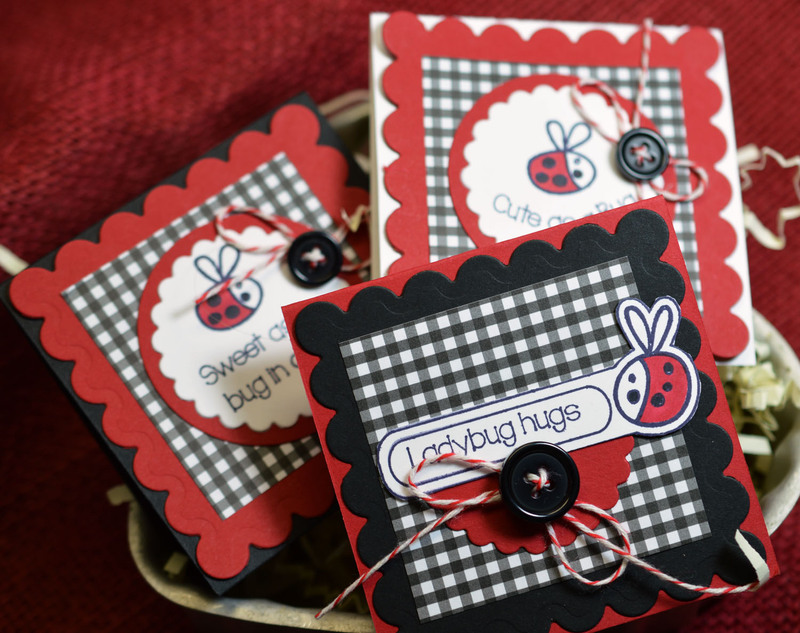 Love your set of note cards Lori.love ladybugs,and the red black and white is so striking..